A Personal Reminiscence of the Late +John W. Blewett, R.I.P. It has been my privilege over the years to know many larger than life people. Three, however, out of thousands I have known stand out from the rest. They are the late John J. Sullivan (see Jackie Boy Remembered Yet Again), the late William C. Koneazny (see A True Catholic Rendezvous) and a wonderful Catholic gentleman and a good friend for a long time, the late +Mr. 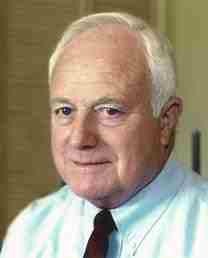 John W. Blewett, R.I.P., who died on Friday, February 8, 2013, the Feast of Saint John of Matha. It was quite appropriate that this brave Catholic champion who was blessed with such a spirited soul died on the feast of one of the founders of the Trinitarian Fathers, which were established to ransom Catholic slaves from the hands of their Mohammedan captors in 1197 (receiving initial papal approval from Pope Innocent III, who also gave his support to the communities established by Saint Francis of Assisi and by Saint Dominic, in 1198 before final approval in 1209). Everything that John Blewett did began and ended in the Name of the Father, and of the Son, and of the Holy Ghost as he sought to ransom Catholics from the errors of the day as best as he was able to do according to the dictates of his conscience. John Wesley Blewett, 84, of Santa Paula, California, a devoted husband, father, grandfather and great grandfather, as well as a successful businessman and dedicated leader in pro-life and Catholic causes, passed away on Friday, February 8, 2013, in Ventura, California. He died as he had hoped, surrounded by family and fortified with the Sacraments of Holy Mother Church. A man of many careers, John brought the same determination, enthusiasm and energy to everything he did. His career included work as a longshoreman on the docks of Seattle during World War II, as a sportswriter for the Seattle Times, as an executive in the Kaiser family of companies, as Vice President of Thomas Aquinas College, as President & CEO of the Wanderer Forum, and finally, as Managing Editor of The Latin Mass Magazine. John was born June 1, 1928, in Butte, Montana, and attended high school in Seattle, Washington. After serving two years in the Army, he attended Seattle University on a basketball scholarship, graduating in 1951. It was in his capacity as the chief executive officer and the president of the Wanderer Forum Foundation that I met John in August of 1993 when he visited me on Long Island during one of his trips around the nation. He was suffering from some back problems at that time, the result of his still taxing his then sixty-five year-old body by playing basketball with many of the students at Thomas Aquinas College in Santa Paula, California, where he had been serving as the institution's vice president for business, a title that belied his many duties at the college, which was still in its early years when John moved his family to Santa Paula, California, in 1979 to make yet another career change. He was a father figure to so many of the students there, serving the college's founding president, Dr. Ronald McArthur, who had cofounded it in 1970 with the late Dr. Marcus Berquist, with great loyalty and dedication. John W. Blewett spent endless hours of his time on various projects for the college, including doing a great deal of the administrative work and legal research that helped prevent an oil company (the then named and now defunct Union Oil Company, I believe) with a plant adjacent to the college from engineering a good, old-fashioned Western-style land grab. John was pugnacious and dogged in this effort, having learned the rough and ready ways of the copper mining area in Butte, Montana, where he had been born. It was also the Blewett family's great privilege during the early years of Thomas Aquinas College to have the fullness of the Immemorial Mass of Tradition offered by Father Harry Marchosky, who died on December 11, 2007, and was quite a character himself (born as a Jew on December 8, 1923, he converted to the Faith after losing a debate to a Catholic while in college in Montreal, Canada, and was ordained a priest in 1953) until the conciliar authorities of the Archdiocese of Los Angeles under Timothy "Cardinal" Manning prohibited it, at which time Father Marchosky left the college. John fought for his beliefs and he fought hard, alongside his loving and devoted bride of sixty-two years, Barbara, for the Catholic Faith and to imbue each of his children and grandchildren in Its holy tenets and practice. John was a dynamo of Catholic Action, about which he spoke so eloquently at a regional Wanderer Forum in Newfoundland, Canada, in 1999. Barbara was also the steady, calm, unflappable Catholic wife, radiating the patience and love of Our Lady herself. Both exhibited a genuine goodness of Catholic heart as they were consecrated to Our Blessed Lord and Saviour Jesus Christ through the Sorrowful and Immaculate Heart of Mary. As a devoted husband and father, John loved to regale visitors with stories of his children as they were growing up, recounting one adventure that took place at a national park (Yellowstone seems to come to mind here) as he was packing up things from a camping expedition. One of his daughters said, "Daddy? Is that a bear over there?" "Bear!" John exclaimed. He told me that he started to pack the car with great fury, telling Barbara and his children to get into the vehicle as quickly as possible. If I recall the story correctly--and it has been a while, John actually banged the bear on the top of its head with a frying pan, at which point the bear ran away completely stunned, permitting the Blewett family to leave in peace, albeit with great alacrity. Mr. Blewett's fighting spirit was on full display in the lobby of a Marriott Hotel on Twenty-second Street in Washington, District of Columbia, in the Fall of 1995 as the Wanderer Forum moved from its usual location of Saint Paul, Minnesota, to the nation's capital. I know. I took the brunt of it (being the brunt of anger is nothing new for this writer, you see, as I experienced a great deal of it in academe and in the pro-life movement). I served on an afternoon discussion panel that featured all of the day's speakers. It was during an audience question and answer session that I was asked about my views concerning Dr. Alan Keyes's praise of the Declaration of Independence that was the keynote of the address he had given that day (Keyes, a disciple of the late naturalist philosopher Leo Strauss by way of Alan Bloom, had left by that time.). I took a deep sigh, knowing that I would take a good deal of "incoming" for the answer that I was to give, which, as readers of this site might imagine, noted that the declaration was a Masonic document, that it had been shaped more by the forces of naturalism rather than the Natural Law. Dr. McArthur was asked to comment on this as he is an expert on the Natural Law, telling the audience that, "Yes, this man, Dr. Droleskey, is correct," going on to give a very cogent response. That's when the fun began. You see, Alan Keyes was running for 1996 Republican Party presidential nomination. I had taken issue during the summer, both in The Wanderer and in some of the question and answer sessions during a thirty-four city speaking tour that I had undertaken, with how Ambassador Keyes had seemed to give support for the "life of the mother exception" that is in violation of the binding precepts of the Fifth Commandment. He took great umbrage at what I had written in The Wanderer demanding a meeting with the paper's publisher-editor and me to explain himself. I was not fully satisfied at the time, although Keyes, who gamely served as the proverbial sacrificial lamb against then Illinois State Senator Barack Hussein Obama, later made it clear that he was opposed to all surgical abortions at all times. One of those angered by my criticizing Keyes was none other than John Wesley Blewett. He was hot. He was steamed. "Who the [Hades] are you to criticize Alan Keyes?" John's face turned beet red. Indeed, he wheeled back at one point as though to slug me, restraining himself at the last moment. Obviously I was a nobody, a cipher (and yet remain even more so than ever), but I had run for public office in my own right and did know at least a little bit about right principles in light of the Catholic Faith. John was not hearing it, walking away in a huff. As one of his daughters who looked very much like Barbara said to us in 2003, "I may look like my mother. I'm as ornery as my father." John was pretty ornery at that moment in 1995. Was that the end of the friendship? John cooled down. I wrote a letter to explain myself to him. He never brought up the subject again. In other words, John Blewett was a Catholic. He fought for what he believed in, expressed himself with passion when the occasion arose, but never--and I mean never--held a grudge. He knew that he was given Absolution in the Sacred Tribunal of Penance and that he had to the forgiveness offered to Him so freely to others. Unlike many fully traditional Catholics, John was a Catholic man of maturity who did not seek "revenge" against "enemies" in order to settle "scores" and to have a laugh at the expense of those with whom he has disagreed or those had caused him to suffer in some way. John Blewett simply went about the business of sanctifying his immortal soul, faithful to Our Lady's Most Holy Rosary and to a number of Novenas that he prayed regularly with his dear, dear wife. John's spirit of Catholic charity towards those with whom he had disagreements knew no limits at all. He reached out to contact a former colleague, upset with him for having become the managing editor of The Latin Mass: A Journal of Catholic Culture in 2000, whom he had heard suffered a heart attack, wanting to assure him of his prayers. He was unable to reach the individual, who would not take the phone call at the time, although he had acquitted his duty before God to express personal concern for a man with whom he had worked for many years. John and I worked very well together for about a decade after the contretemps over Alan Keyes in 1995, helping to provide me with contacts for my summer speaking tours in the late-1990s, including arranging lectures in Ventura, California, at Mission San Buenaventura. It was always marvelous visiting with John and Barbara, both of whom were fierce opponents of all forms of classroom instruction in matters pertaining to the Sixth and Ninth Commandments, doing everything imaginable to protect their children from the influences of the world, the flesh, and the devil. They were the most gracious of hosts. John and I would stay up late chatting about this or that event in his life. Two anecdotes from those late-night chats stand out particularly vivid in my memory, although the passage of time has dimmed some of the details, the first of which was told by John and the second by Barbara. John told me of the time when a friend of his who had had some trouble with the Internal Revenue Service and had served some time as a guest of the Federal government as a result was attempting to start his career over again as a talk show host for a small radio station somewhere in the West. The man's phone lines went unlit one Saturday afternoon, prompting him to ask John to call in and make outrageous statements so as to generate controversy and phone calls. Well, John Blewett was one of the greatest put-on artists I've ever known, perhaps second only to the imitable William C. Koneazny (third place is held by a priest in the conciliar structures who used a female persona to call into a radio station). John told me that he called the radio station and said one outrageous thing after another, including something about the Talmudists, if I am not mistaken. The telephone lines at the radio station lit up as a result. The host's second career had been reborn thanks to John's willingness to be a friend in need. And, of course, he thoroughly enjoyed himself while doing so, it should be noted. He enjoyed recounting the story. Barbara Blewett's story dealt with the time that she met John at an airport. He was walking arm-in-arm with a fellow he had met on the plane. Barbara told me, " 'Oh brother,' I thought to myself, explaining how she watched her husband amble down the corridor to meet her. According to Barbara, John said, "Honey, this is Charlie Finley [the legendary owner of the Kansas City and Oakland Athletics from 1960 to 1981]." Barbara said that she rolled her eyes. John was emphatic, she said. "No, this is really Charlie Finley!" Sure enough, it was Charles Oscar Finley. John had the unique ability to befriend almost anyone, striking up conversations with complete strangers. And as a man whose heart was conformed to the tender mercies of the Most Sacred Heart of Jesus through the Sorrowful and Immaculate Heart of Mary, John W. Blewett was genuinely concerned about those with whom he spoke. There was not an ounce a pretense in this man whatsoever. Not an ounce. He was completely sincere. I was privileged to have been at John's seventy-second birthday on June 1, 2000. To be sure, John did not always say what was on his mind. I saw him restrain himself masterfully in several situations where he was being provoked. In these instances, my good friend would usually clam up and say very little. This was his way of expressing displeasure in some instances with those who were attempting to get under his skin. One of those times occurred in my very presence at a Wanderer Forum in Washington, D.C., in 1999 or 2000 (yes, my memory is slipping on some details here and there). It was on that occasion that Father Joseph Fessio, S.J., the founder of Ignatius Press, was hot under the collar. Father Fessio was angry at the fact that the courageous defender of Catholic truth, Mrs. Randy Engel, who has done so much important work to expose the nest of the lavender brigade in the conciliar structures and to warn parents of the evils of classroom instruction pertaining to matters contained in the Sixth and Ninth Commandments, had given a presentation at the Forum and had dared to lay the blame for the rot of conciliarism directly at the doorstep of Giovanni Paolo Seconda Il Grande Frode. "The fish rots from the head down," Mrs. Engel noted pointedly and to thunderous applause. John Blewett simply listened to Father Fessio without saying much. I knew John well enough to know that he was not going to pick a fight at that time, letting Father Fessio pronounce indignantly, "I will never serve on a program with that woman again." Yes, unlike so many fully traditional Catholics who believe themselves to be both infallible and impeccable and that anyone who criticizes them is their "enemy" and must be dealt with summarily, John Wesley Blewett was capable of admitting a mistake as he took the heat for dong so. In this regard, therefore, it is truly laughable that some of the "older sedes" look contemptuously at many who have not yet embraced the true state of Holy Mother Church in this time as "not being Catholics." John W. Blewett had the humility to say that he had been wrong about this or that matter. He was exemplary in this regard. His love of the Immemorial Mass of Tradition prompted him in late-2000 to accept an offer from the new owner of The Latin Mass: A Journal of Catholic Culture to serve as the magazine's managing editor. And it was in that capacity that I found myself working with John yet again in connection with the few articles of mine that were published in the journal between 2001 and 2004. We spoke frequently on the phone in that period. Ah, I am getting ahead of myself here. Let me back up a bit. John and Barbara were good enough to find me a venue to give my "Living in the Shadow of the Cross" lecture program in Oxnard, California, starting in March of 2001 at a time I was lecturing in Santa Clara, California, and in a community on the Monterey Peninsula near the Basilica of Saint Charles Borromeo where Father Junipero Serra, O.F.M., is buried. Barbara Blewett recommended that I contact the head of a Una Voce chapter in southern California to see if I could give my lecture program at Saint Mary's by the Sea Church in Huntington Beach, California. The man I contacted was from the Normandy region of France. He cleared the program with parish's wonderful pastor, Father Daniel Johnson, who died on March 18, 2007, and I began lecturing there on Sunday, March 11, 2001. Attending that lecture was the gentleman's sister-in-law, a woman named Sharon Collins, who has been in for "quite a ride" ever since (yes, there are tears in my eyes now as I write this). Yes, I owe the Blewetts a great deal. As we told Lucy Mary Therese Norma on Tuesday, February 12, 2013, when Barbara Blewett called me with the news of John's death four days before, "No Barbara Blewett, no Lucy." And I added, "I would never have met Barbara Blewett without having met her devoted husband." Yes, we owe the Blewetts quite a lot, which is why I asked John to be my best man a few months later, although a proxy, a friend of ours from Long Island, had to stand-in for him as his bad back prevented him from making the trip. Sharon got along famously with John and Barbara. Well, really, I know of very few people who did not get along with them well. However, John was, in addition to being a put-on artist, a great needler. There was one time in early-2002 that we arrived at the Blewett house in Santa Paula, California, in our 2000 Saturn station wagon prior to giving one of my "To Be Catholic From the Womb to the Tomb" lectures that John needled her mercilessly and relentlessly over a packaged of Charmin' bathroom tissues that was visible in the car's wayback "Wonderful housekeeping abilities, Mrs. Droleskey. Just wonderful." As Sharon wrote to Barbara Blewett a few days ago now, "I was defenseless against his rapid-fire, outrageous comments." So was I as John would go on for about five or six minutes over one of my shabby suits, saying, "Well, I see that you are setting a new fashion trend here." He was a human machine gun. It was delightful. John Blewett was a fast-paced New Yorker's "Kryptonite." One crumbled in the midst of John's verbal jousts. Crumbled. I know this for myself as I was completely defenseless as John skewered me in a good natured way in his capacity as the master of ceremonies of the national and regional Wanderer Forum meetings. I mean, he "got me" from coast-to-coast, whether it was in Washington, D.C., or Newfoundland or Toronto, Canada, or Jacksonville, Florida, or Chicago, Illinois, or Milwaukee, Wisconsin, or Seattle, Washington, or Carmel-by-the-Sea, California. One was completely defenseless as John's quick wit, something that was just part of who he was and how he went about his daily business with joy even in the midst of great personal bodily pain, came up with one perfectly timed and delivered roast after another. He was the most polished and natural master-of-ceremonies I have ever heard amongst the hundreds of programs that I either attended or in which I participated from the 1970s until my time as a speaker came to an end several years ago. No one was better. The only time that I ever saw John one-upped was at Latin Mass magazine conference held at the Sherarton Four Corners Hotel in Culver City, California, in May of 2002 when Father James McLucas, S.T.D., then the editor of The Latin Mass: A Journal of Catholic Culture, dead-panned one one-liner after another that had John in stitches and as defenseless as most of us were when in his presence. The line that stands out from Father McLucas's performance is this one. "I asked John recently what was the secret to his long marriage [then of fifty-two years]. John said, 'It's simple. We dine out twice a week. I go out on Tuesdays and Barbara goes out on Thursdays.'" John had his head down, laughing and shaking uncontrollably. He had met his match. Father McLucas knew this, saying, "Hey, John, this is fun!" and continued on with one of the best roasts I have ever heard delivered. He went on for at least five or six minutes. Barbara Blewett, who was working a table in the back of the conference hall where she had set up her apostolate of selling traditional Catholic books and religious article, smiled coyly as her husband got skewered. Although we had been divided over candidates during the quadrennial farce called presidential elections in 1996, we were united in our opposition to the pro-life, war-mongering "conservative," George Walker Bush, in 2000 and thereafter, which is why he asked me write The Illusion of Secular Salvation in 2001. Movingly, he told me while that he had seen the Twin Towers of the World Center collapse as he looked out from the window of an airplane on the tarmac at Newark International Airport that was scheduled to take him back home to California. "Tom," he told me as he voice crackled with emotion, "I saw those tower collapse with my own eyes." He also said that a man sitting next to him on the airplane appeared to be speaking into a cellular phone in a very low voice in Arabic. He reported the man to the authorities, who appeared interested in the information as it might have been possible that that airplane was also scheduled to be hijacked. John was delayed for a week in New Jersey before he could return home to California once the restrictions on commercial air traffic was lifted. As Sharon noted, "Our Lady did not want that plane to go down with John Blewett." Yes, John was praying Rosaries throughout his time on the airplane before it returned to the gate. John and I were united in our opposition to the build-up to the Iraq War in 2002 and the subsequent American invasion and occupation of Iraq on March 20, 2003. And it eight months later that we took what we dubbed "The John Blewett Historical Trail" tour of his native Butte, Montana, as he directed us while I was on the cellular phone with him to the street where he was born and the school he attended as a boy (we were in Butte for a speaking engagement that had been arranged by a presbyter with the Priestly Fraternity of Saint Peter with friends his in that community). It was very interesting to see the places where John had grown up in that rough and tumble copper mining community, which is overlooked now by a large statue of Our Lady of the Rockies, where we greeted a local campground (those were the days of the motor home, remember) by a woman scratching her half-naked belly in twenty-degree below-zero weather one morning. As none of my articles were appearing in Latin Mass magazine any longer and as I could not abide the advertising of the nearly "elected" Benedict XVI's books in its pages, I informed the owner of the magazine, a very fine Catholic gentleman in his own right who remains in our prayers every day and who has been blessed with his own large family over the course of nearly forty-seven years of marriage, in November of 2005 that I wanted to have my name removed from the list of the magazine's contributors. We had moved out of the indulterer world by late-2004 and had been speaking that summer in various venues of the Society of Saint Pius X. I was also in the process of examining once again the evidence about the truth of our ecclesiastical situation at this time. John telephoned me a few days later, expressing his regret at my decision, accepting it with sadness. We lost contact, at least for the most part, after that point, although the Blewetts and their large family remained in our prayers. Readers of this site should know by now that I do not cram the positions expressed on the pages of this site down anyone's throat. I try to defend the truth as I know it to be as best as I can with my limited abilities. It is up to readers to accept what I present or to reject it. Rather than rattle anyone's cages or upset them unduly and to no good purpose, I pray for those who are elsewhere on the ecclesiastical divide at this time of apostasy and betrayal while remembering all past kindnesses and the good Catholic camaraderie that we have experienced with such wonderful, charitable Catholics as John and Barbara Blewett. We did try telephoning them we passing through Butte in October of 2006 en route to the Fatima Conference at Mount Saint Michael's in Spokane, Washington, leaving a telephone message to explain that we were driving through John Wesley Blewett's hometown. I knew when Barbara Blewett telephoned me twelve days ago at 12:40 a.m., Eastern Standard Time, that she was calling to inform me of John's death, which she told me happened on February 8, 2013, on the feast of a saint named John after he had just finished praying a Novena. She found my phone number, saying to herself, "This man has got to know that John died." Well, John's prayers from eternity, I am sure, prompted her to find the telephone number. It was very good to speak with her again, learning that John had been in failing health since 2010. Sharon also spoke for a while with her as well. The Blewetts have long had a special place in our hearts, and John's immortal soul will be remembered in our prayers every day until we die. Through it all, though, John Wesley Blewett always attempted to plant the seeds of the Holy Faith in the souls of those he met. He took his "father figure" image at Thomas Aquinas College very seriously, becoming very close to so many untold numbers of students and their families over the years, each of whom, I am most sure, is praying for the repose of his immortal soul and passing along vintage John Blewett stories of their own. After the Holy Faith and before any other obligations, though, John Blewett was a Catholic family man. His marriage to Barbara, which was based in a mutual love of the interior life and a love of the gift of Faith that they shared so generously with their family and friends, was inspirational to each of us who knew and spent time with them. It was my singular privilege to know this Catholic gentleman who had a heart of pure Catholic gold, a man for whom family prayer, especially by means of Our Lady's Most Holy Rosary, was the cornerstone of his own domestic cell of Holy Mother Church. Although we have done so privately to Barbara, on behalf of Sharon and Lucy, I want to express publicly our deepest condolences to Barbara Blewett and to each of his children, several of whom, David, Katie and Paul, I knew very well, and grandchildren and great-grandchildren. Although I am sure that their loss is felt keenly as John Blewett was truly one of a Catholic kind, he is, whether in Purgatory or Heaven, more perfectly united to them by means of his prayers than he ever was on the face of this earth. We pray a good, happy reunion in Paradise, please God and by Our Lady's prayers that we persevere in a state of Sanctifying Grace and can exhibit as much prayerfulness and charity as John W. Blewett. Please join us in praying for and having Masses offered for John W. Blewett, keeping his family in your prayers at this time as well. Anima ejus et animae omnium fidelium defunctorum per misericordiam Dei requiescant in pace. Amen. © Copyright 2013,Thomas A. Droleskey. All rights reserved.